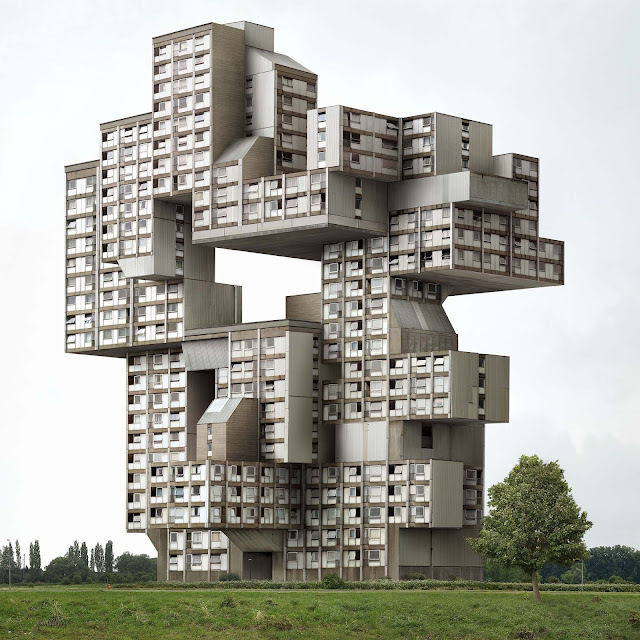 Belgium is notorious for trendsetting art, design, fashion and...we almost forgot, cuisine. 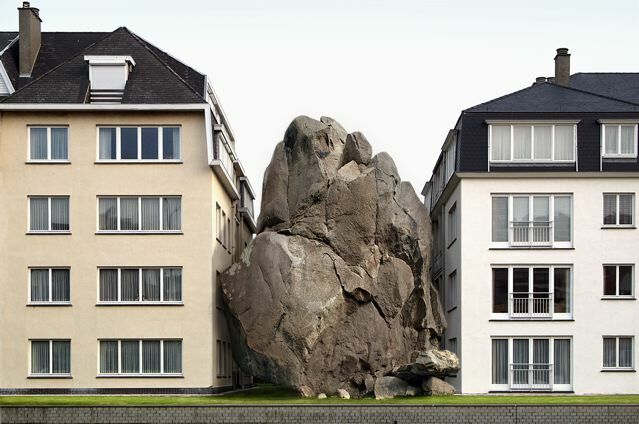 The country is world famous for its surreal luminaries such as René Magritte and Paul Delvaux. 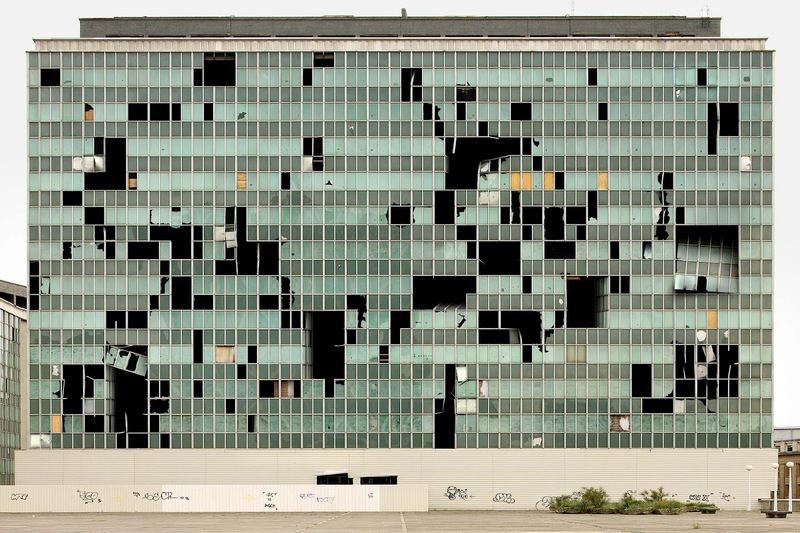 Must be something in the air perhaps? Building on this long tradition of innovation, Belgian photographer Filip Dujardin certainly is the new kid on the (surrealistic) block. 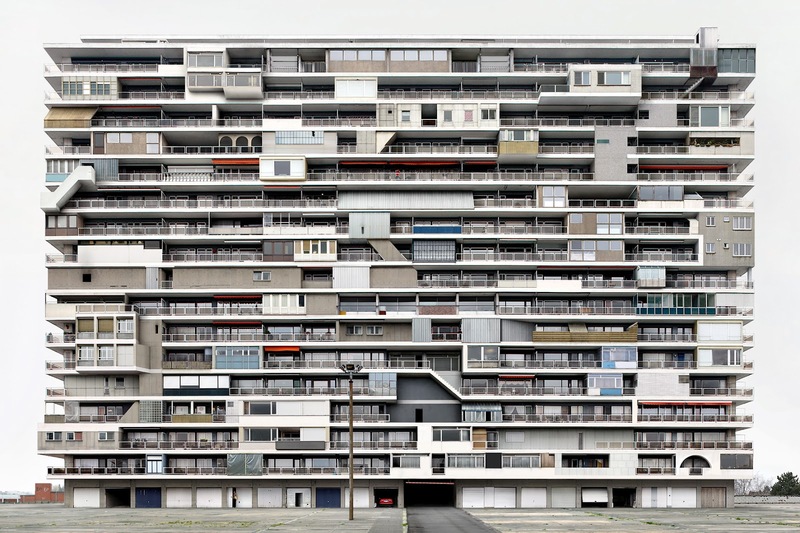 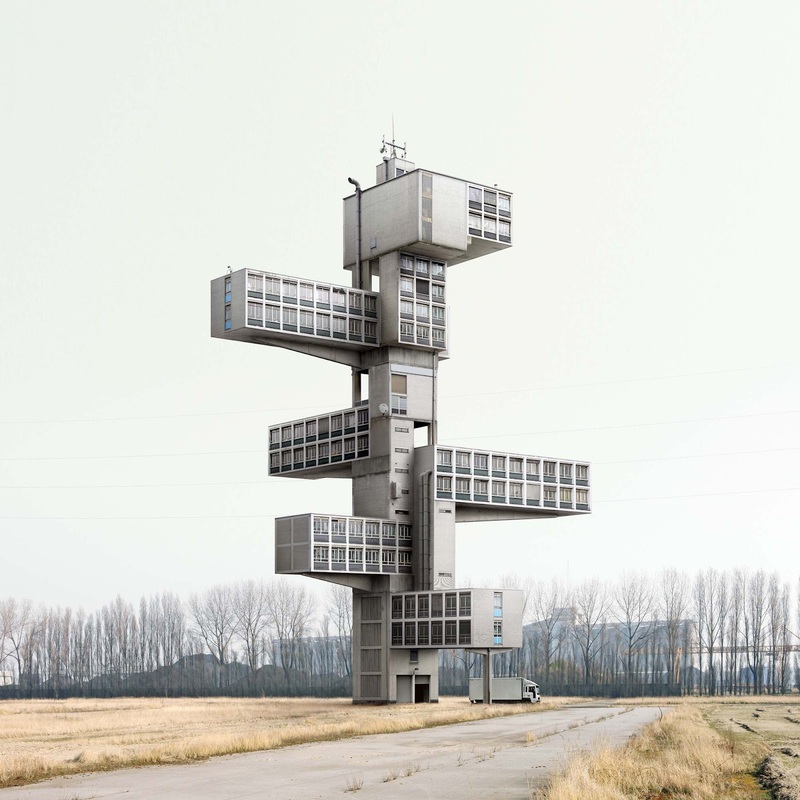 Filip Dujardin calls himself a photographer, but he is much more of an artist in the true sense. Belgians are notorious for their modesty although they are often super talented, which is precisely why we love them. 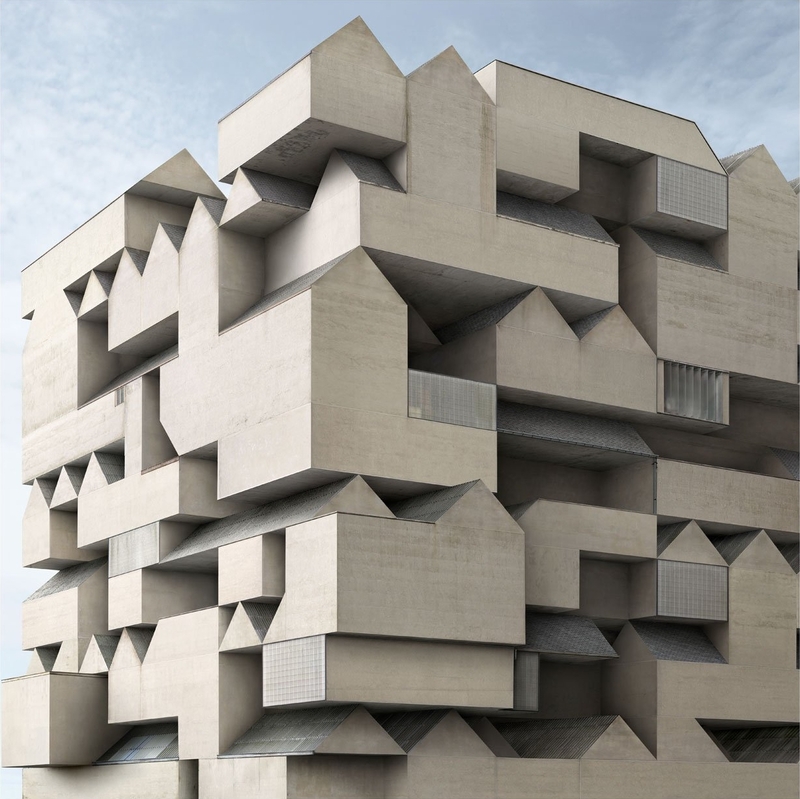 Filip Dujardin is no exception... A soft spoken gentleman with amazing talent, he works from a modest studio in the medieval city of Gent. 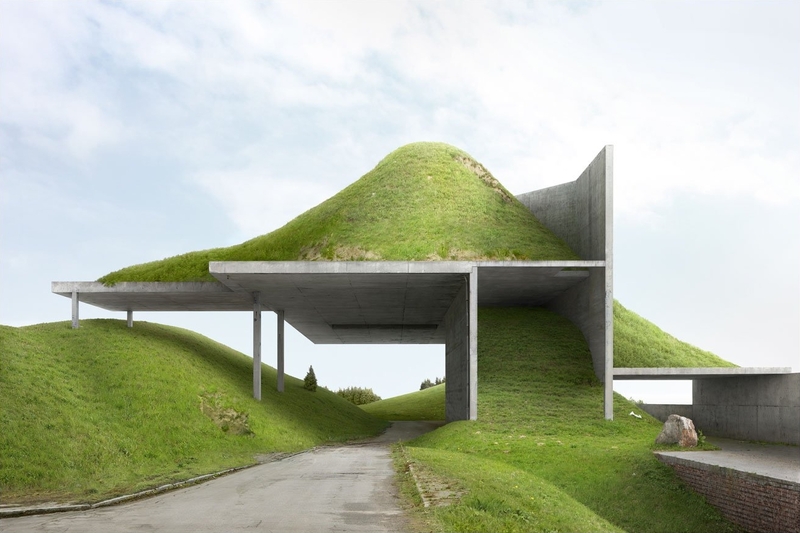 Armed with his camera and a vivid sense for imaginative creation, Filip Dujardin turns nondescript Belgian architecture into exquisite surreal images that would make René Magritte smile from ear to ear. 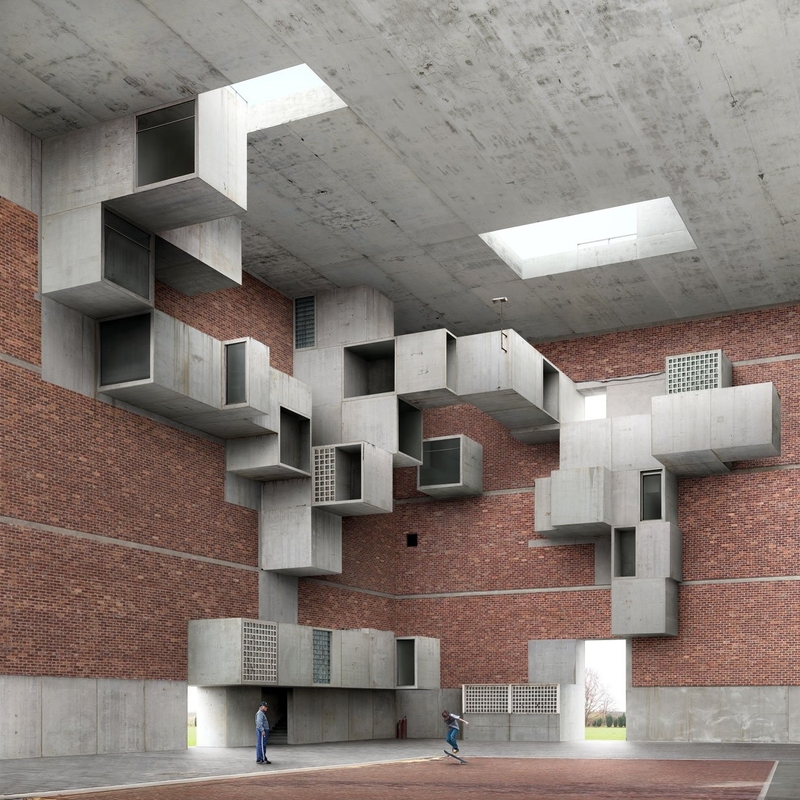 Most of the Filip Dujardin creations seem to defy physics in the way that most of them seem to be constructed by stacking portions of the building on top of each other with no rhyme or reason. A spectator might assume these eccentric buildings make no sense and could quite possibly be non functional. 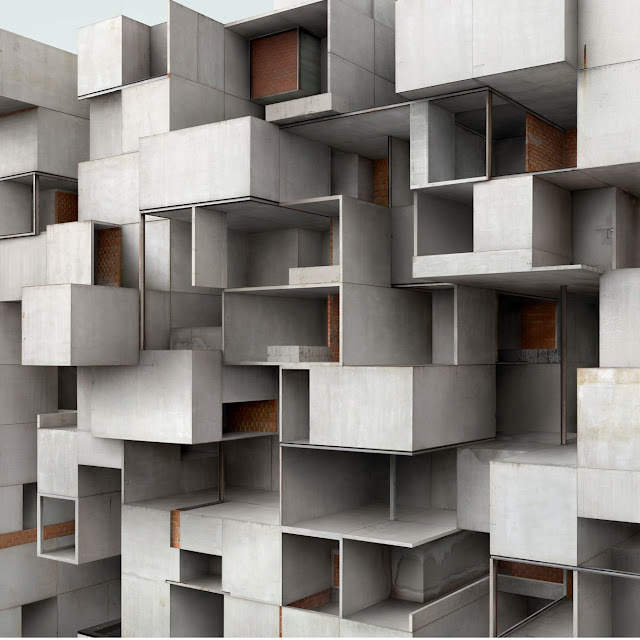 Some resemble a crumbled piece of paper while others look like random shapes jutting out from the side of another building. 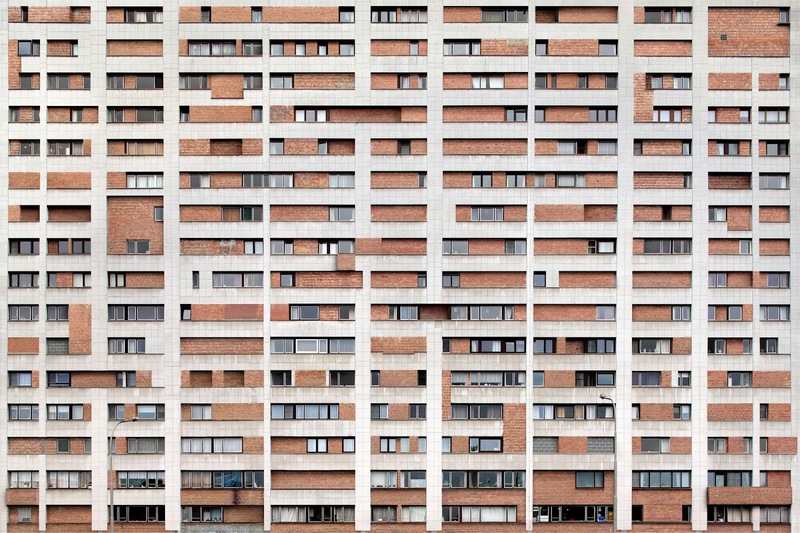 The inexplicable randomness and style of the buildings Filip Dujardin photographs is what makes them so irresistible to examine. 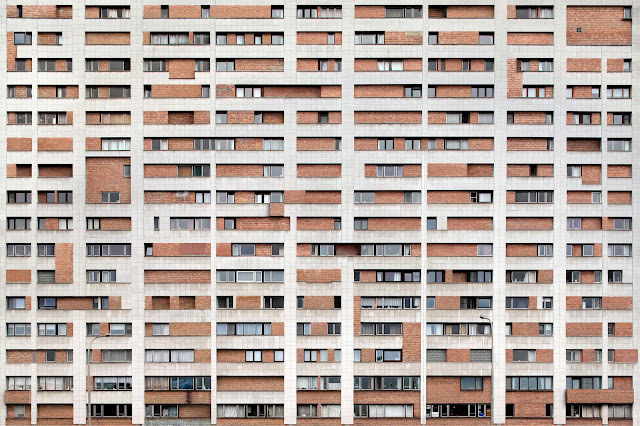 We can only imagine how Filip Dujardin would interpret Le Corbusiers's "Unité d'Habitation" in Marseille, yes it's in France, but it would be the cherry on our pie.